The famed SSL 4000 channel strip, exhaustively re-modeled with Unison technology. Introduced in 1979, the SSL 4000 E console brought a modern sound to the world, powering more Platinum-selling records than any other. Its bold, punchy character and incredible dynamics have made the SSL 4000 E a true industry standard and a bastion of modern recording. In crafting the new SSL 4000 E Channel Strip Collection, UA’s team of engineers dug deep into the SSL 4000 E hardware, faithfully modeling the original preamp’s Jensen input transformers and dbx "gold-can" VCA output section. By capturing the preamp’s signature nonlinear amp behaviors you get all of the SSL hallmarks — expansive, punchy, deep, assertive character for all of your sources. 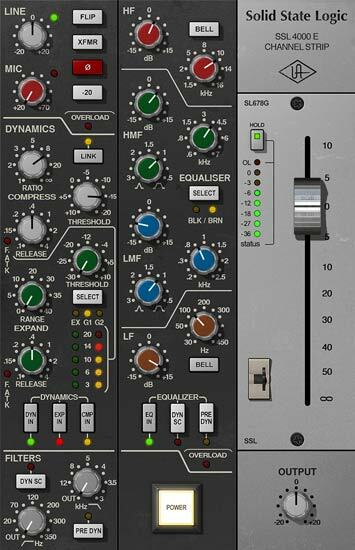 The SSL 4000 E Channel Strip Collection plug-in features both the Type E 242 “black knob” and 001 “brown knob” four-band EQ and filters. The “brown” EQ is easy to dial in and musical, while the “black” is more surgical and clean. Both offer iconic SSL band interactions and amp modeling, adding punch to drums, presence to vocals, and heft to bass. Harnessing UA’s groundbreaking Unison technology, the new SSL 4000 E Channel Strip plug-in gives you the hardware’s mic/line preamp impedance, gain stage “sweet spots,” and exact circuit behaviors. Just insert the plug-in into the Apollo’s Unison preamp slot to track in real time through a perfect SSL modeled preamp. From subtle dynamics control to in-your-face smack, the E Series’ compressor gives guitars presence, makes vocals “pop,” and can add clarity, punch, and depth to your drum bus. PRE-DYN controls let you place the EQ or filters before the dynamics section for tons of different timbres, while the DYN-SC buttons provide frequency-dependent compression using the EQ filters, cut filters, or both. Of course, the SSL 4000 E Channel Strip Collection isn’t just for Apollo owners. UAD-2 owners can use the SSL E Channel Strip on any source, without going outside the box. With the SSL E Channel Strip's complete console channel emulation, plus the included DSP-lite SSL E Channel Strip Legacy plug-in, you can craft your projects with Platinum‑selling sound. Even with 10 DSPs I won´t use this one on every channel. But it sounds awesome. 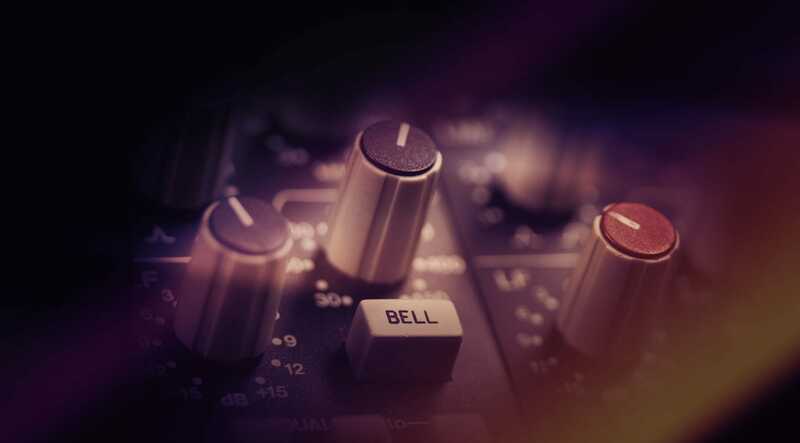 If you’re looking for the SSL sound, this plug-in has it. With just a turn of a few knobs you can get that rich, clear, iconic sound that everyone is looking to get.